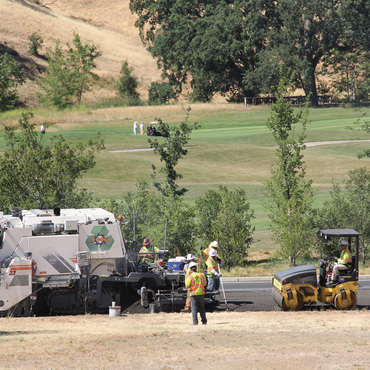 Cold In-Place Recycling (CIR) is a rehabilitation technique that reuses existing pavement without applying heat. 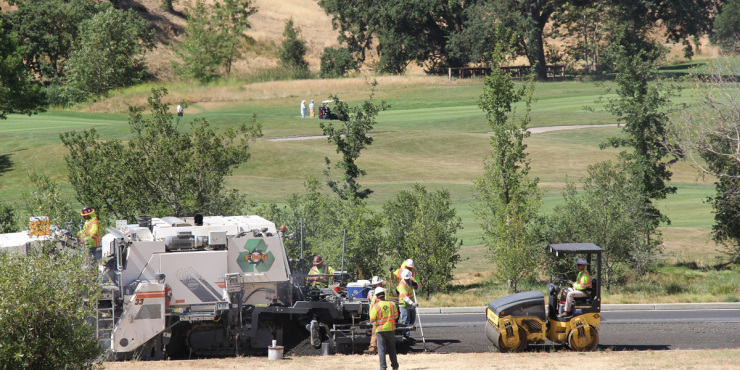 It involves grinding the top 3-6 inches of existing asphalt surface. 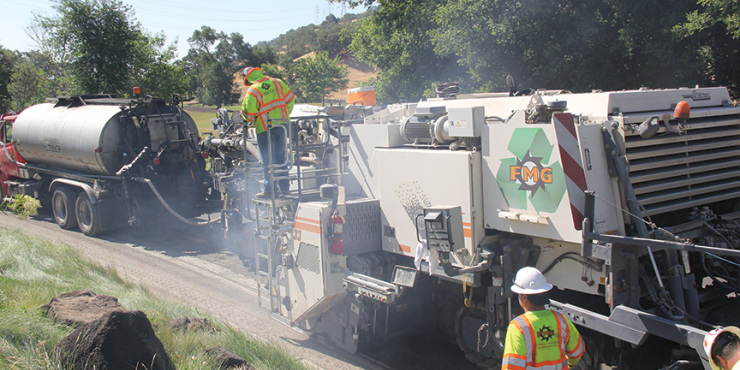 The reclaimed asphalt pavement is sized per design specifications and mixed with a recycling agent and/or binder in the machine’s heavy duty chamber before it is put down on the same road. The new mix is spread uniformly across the road by the machine’s spreading auger, which allows the paving screed to place and compact in a single sweep. This work is done with our single unit train, Wirtgen Cold Recycler 3800 CR. This machine allows us to recycle curvy roads, busy intersections and wide open roads without snarling traffic and creating dust. CIR is a faster, cheaper, safer and greener method to improve roadway surfaces. CIR uses a single unit train that does not leave a lowered section or hole that limits access for emergency vehicles. The CIR surface can be traveled on within minutes of completion. This translates into no disruption of services when working in front of hospitals, schools, firehouses or police stations.